The back of the room is lined with storage. 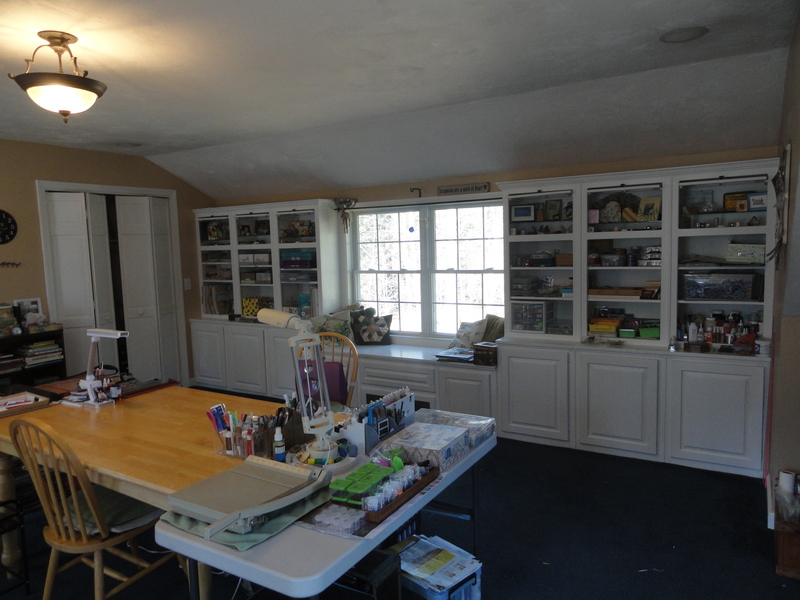 Shelves, a closet, and a window seat with built-in storage are great for storing my photos, card making supplies, kits and unfinished albums. The shelving is used for embellishment storage. The top sections light up and are decorated with different projects. Love the shelves! Amazing storage! You have an awesome amount of real estate, love how you are using it! You have an awesome creative space......and I LOVE the velvet chair and ottoman!